April 2018: Germany’s best-selling electric car models were the Kia Soul, VW Golf and Renault Zoe with the top-selling electric car brands Kia, Volkswagen and Smart. January to April 2018: Thus far this year, the Smart Fortwo, VW Golf and Renault Zoe were Germany’s best-selling electric car models. The leading electric car brands were Smart, Volkswagen and Renault. A strong performance by the Kia Soul propelled it to the fourth most-popular car model in Germany thus far this year with Kia the fourth best-selling electric carmaker. Despite a flurry of electric show cars, Audi, Mercedes and Porsche very much lagged behind. In April 2018, the German electric new car market grew by 124% from a year ago to 3,171 new registrations. This gave electric cars a mere 1,01% of the German new car market. Total new passenger vehicle (PKW) registrations in Germany in April 2018 increased by 8% to 314,055 cars. Petrol had a market share of 61.6% (+19%), followed by diesel with 33.3% (-12.5%). Hybrid car sales increased by 70% to 10,858 hybrids for a 3.5% market share. Of these, 2,632 were plug-in hybrids. Thus far in 2018, electric car sales in Germany amounted to 12,273 cars or a mere 1,03% market share. Although volumes increased, the market share actually slipped slightly from the first quarter of 2018. During the first four months of 2018, Germany’s best-selling electric carmakers remained unchanged from the rank positions during the first quarter of the year but a very strong performance by Kia in April had the South Korean brand well ahead of Volkswagen and Smart during the fourth month of the year. April was the first month in 2018 that Smart was not the leading electric car brand in Germany while Renault slipped from third to fourth due to Kia’s strong sales. BW was again fifth but Nissan overtook Tesla. Hyundai remained the eighth largest electric car brand while Audi moved up one place due to weak sales by Opel. 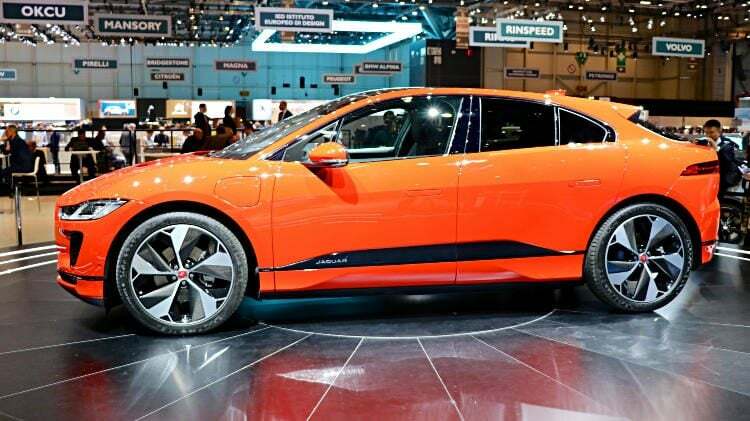 Jaguar entered the top ten with its first electric car registrations in Germany in April 2018. No new electric Mercedes car was registered in Germany in April 2018 while Porsche entered the rankings with a first electric car registration this year – probably a research vehicle. The Kia Soul was by far the most-popular electric car model in Germany in April 2018. The VW Golf was the second best-selling electric car in Germany followed by the Renault Zoe and the BMW i3. The Nissan Leaf moved into the top-five list, although sales of the new Leaf were weaker in April than in March. Both the Smart Fortwo and Smart Forfour saw sales decline in recent months, although the Fortwo remained the best-selling electric car thus far this year in Germany. Sales of the Hyundai Ioniq increased although supply issues may continue to keep numbers down. Sales of the Tesla Model S and Model X were significantly down on the high numbers registered in March 2018. The Jaguar I-Pace entered the registration ranks in Germany at number 12 for April 2018.